The Zone Diet is a low-carb diet designed to help you fight chronic inflammation. By following the Zone Diet, you’re supposed to lose weight and slow down your aging process. You’d also reduce your risk for major diseases and improve your overall health. Chronic inflammation is pretty much the result of an unhealthy lifestyle. Poor diet, lack of exercise, and stress all contribute to chronic inflammation. What’s dangerous about this condition is the silent way it damages your body. If left uncontrolled, it will lead you to serious ailments such as heart disease, diabetes, and Alzheimer’s. Can the Zone Diet effectively act as a countermeasure against chronic inflammation as it claims? Let’s find out. The Zone Diet is the brainchild of American biochemist and medical researcher Dr. Barry Sears. He developed the diet sometime in the 1970s and released his findings in his book The Zone: A Dietary Road Map in 1995. 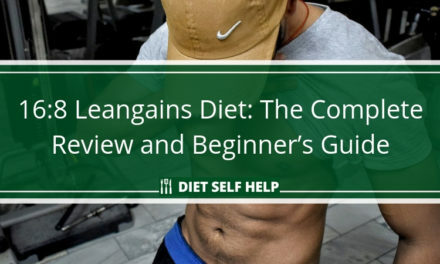 The book eventually became an international bestseller, and its success spurred Dr. Sears to create an entire line of diet products, including books, food, and food supplements. Dr. Sears began research on the Zone Diet in an attempt to escape his family’s medical history. Many of the men in his family died young from a premature heart attack. The Zone Diet is his way of fighting against his predisposition towards heart ailments and so live a longer and healthier life. How does the Zone Diet accomplish this? 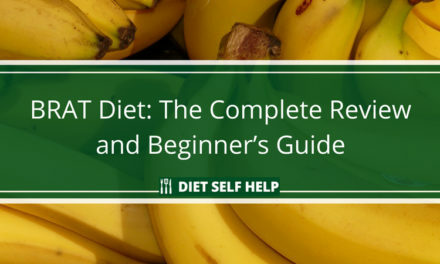 The diet’s premise is simple. You need to make sure that every meal you sit down to has a specific caloric composition. By following the Zone Diet eating plan, you get to optimize your hormones and control your body’s response to chronic inflammation. As mentioned earlier, the Zone Diet is meant to help your body fight against chronic inflammation. By getting your inflammation in control, you get to lose weight, reduce your risk for serious ailments, and enjoy better overall health. The Zone Diet has only one requirement. And that is you need to make sure that every meal you eat is balanced. 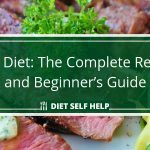 The diet’s definition of a balanced meal is one that is composed of 40% carbohydrates, 30% lean protein, and 30% healthy fat. Additionally, the diet recommends that you take anti-inflammatory supplements, particularly Omega-3 fatty acids and polyphenols. Omega-3 fatty acids reduce your risk for heart disease by lowering your bad cholesterol levels. They also prevent joint pain from arthritis. You can get them from fish oils. Polyphenols, on the other hand, are antioxidant molecules found in plants. Antioxidants neutralize the damage that free radicals can do to the body. Who is the Zone Diet ideal for? Anyone can do the Zone Diet. 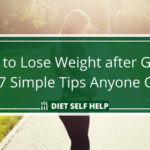 It promotes weight loss through healthy eating. Individuals who would probably benefit the most from following the Zone Diet, though, are people who are experiencing the effects of chronic inflammation. These include people with obesity, diabetes, heart conditions, arthritis, and other such ailments. If you constantly feel stressed out, following the Zone Diet can give you an energy boost as well. How easy is it to implement the Zone Diet? There are actually two ways to implement the Zone Diet – the hand-eye method and the Zone Food Block method. The hand-eye method is the simpler way to follow the Zone Diet. This method calls for you to approximate your food portions. This means eyeing your plate to make sure that two-thirds of it is filled with carbs, one-third with lean proteins, and one-third with healthy fat. Your fingers should also remind you that you need to eat five times a day and shouldn’t go without food for more than five hours. The Zone Food Block method is a more advanced way of following the Zone Diet. With this method, you get to calculate the specific amount of carbs, proteins, and fat you should consume daily based on your body fat. The Zone Diet website has a special body fat calculator to help you with this. Using this method, you divide your meals into food blocks. This allows you to be more precise with your diet. The Zone Diet is relatively easy to implement, regardless of the method you choose to follow. Basically, you only have to change the way you eat. You accomplish this by including more fresh produce and less processed food in your grocery list. You may also need to learn new ways of cooking to fulfill the 40-30-30 caloric ratio that the Zone Diet requires. If you’re following the food block method, you may want to invest in a kitchen scale so you can weigh ingredients when preparing your meals. Your HbA1c, which is a measure of your average blood sugar levels for the last three months. Dining out and socializing is also easy with the Zone Diet. The diet only discourages you rather than forbids you from eating certain foods. So when dining out or eating at a party, you just need to eyeball your plate to make sure that you’re following the 40-30-30 caloric ratio. 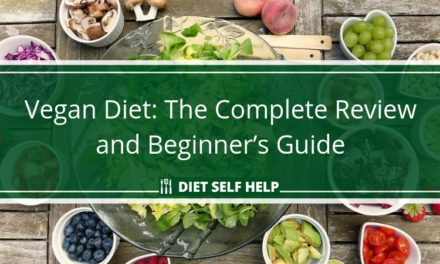 You may find the Zone Diet slightly challenging if you’re a vegan or vegetarian. The diet emphasizes lean protein intake. This means you have to eat a lot of plant-based protein sources to make sure you’re getting your fill of this macronutrient. When you follow the Zone Diet, you have to make sure that every meal you eat consists of 40% carbohydrates, 30% proteins, and 30% healthy fats. Vegetables – broccoli, asparagus, cauliflower, spinach, tomatoes, peppers, cucumber, eggplant, squash, etc. Fruits – oranges, berries, grapefruit, apples, plums, peaches, etc. Whole grains – barley, oats, rice, quinoa, wheat, buckwheat, rye, etc. Sugar-free soda is also considered a sugary drink in the Zone Diet and, thus, must be avoided. You’re also supposed to limit your intake of coffee and tea. Instead, you should consume more water. How effective is the Zone Diet overall? The one great thing that the Zone Diet has going for it is its similarity to the Mediterranean Diet. 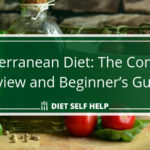 This comparison should help ease a lot of doubts, especially because the Mediterranean Diet is considered to be one of the healthiest diets around. Just like the Mediterranean Diet, the Zone Diet aims to fight chronic inflammation by focusing on lean proteins, fresh vegetables, and healthy fats. It also discourages consumption of sugary foods, including high-sugar fruits and refined carbohydrates. In fact, Dr. Sears himself discussed the similarities between the Mediterranean and the Zone diets in his book The Mediterranean Zone: Unleash the Power of the World’s Healthiest Diet for Superior Weight Loss, Health, and Longevity. Because the Zone Diet focuses on eating lean proteins, fresh produce, and healthy fats, it can be an effective weight loss tool. 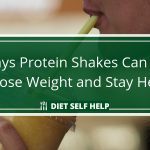 Research has proven that increased protein intake helps with satiety. If you eat more lean proteins, you’d become full more quickly and stay full for longer. This means you get to eat less without going hungry, thus fulfilling the calorie deficit you need to lose weight. In addition, consuming complex carbohydrates with a low glycemic index will improve your insulin resistance and help you lose fat. However, calling the Zone Diet an anti-inflammatory diet is a bit of a stretch. There is just not enough scientific evidence available to support its claims. The 40-30-30 caloric ratio the Zone Diet states is optimal for balancing hormones against inflammation has little proof as well. According to a study, the 40-30-30 ratio is good for shedding off unwanted weight and body fat. But it does not lead to any significant changes in blood values for cholesterol, fat, or sugar. Therefore, going on the Zone Diet cannot guarantee that you’ll win the fight against chronic inflammation. One of the main advantages of the Zone Diet is that it’s really easy to follow. It has only two set rules. One is observing the 40-30-30 caloric ratio with all your meals. The other is to consume Omega-3 and polyphenol supplements. 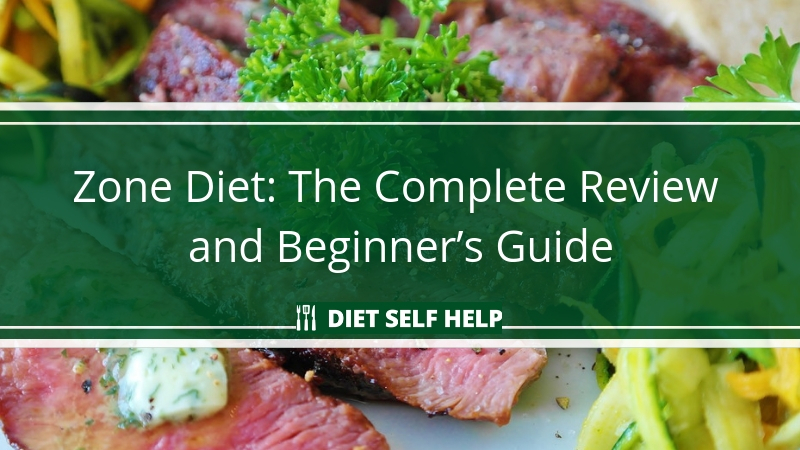 So, there aren’t a lot of mistakes that you can commit on this diet. You may find the Zone Diet slightly challenging, however, if you choose to follow the Zone food block method. 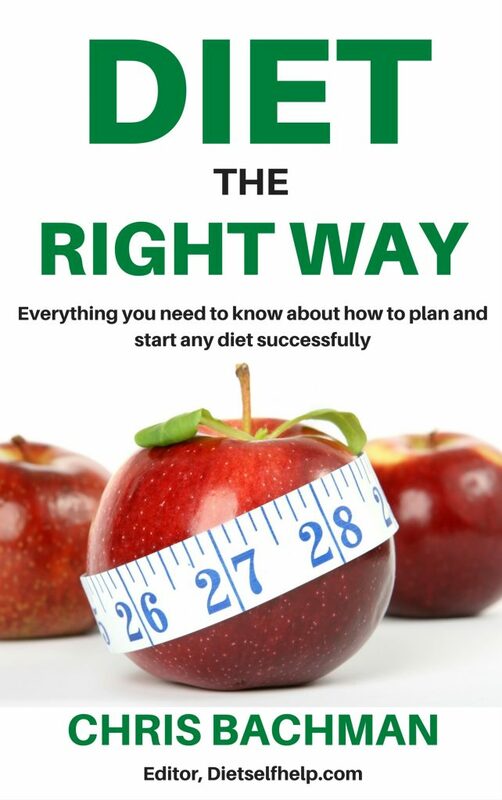 While it’s a more precise way of implementing the diet, it can get too technical. Weighing your food down to the last gram to get your food block count is not everyone’s idea of fun. It can make food preparation complicated, and you may end up feeling like you’re over-thinking your diet. If you’re not comfortable with the Zone food block method, go ahead and follow the hand-eye method instead. Learning portion control is another challenge with the Zone Diet. If you’re not used to controlling your portions, you may initially rebel at the idea of having to eat less of the food you want to eat. But as long as you keep at it, you’re eventually going to get used to portion control. And you won’t mind it either, since you get to increase your protein intake and eat five times a day on this diet. You’d be too satiated to mind. How healthy is the Zone Diet? As mentioned, the Zone Diet is a pretty healthy diet. It shares many similarities with the Mediterranean Diet, one of the healthiest diet systems out there. With this diet, you get to eat fresh food and stay away from processed food. That alone should keep your body in tiptop shape. But as it is with every diet, you should follow the Zone Diet with a grain of salt. It’s not proven to be an effective anti-inflammation diet despite its claims. So you shouldn’t expect any dramatic changes in your health markers if you go on this diet. If you’re pregnant, you should consult your doctor first before going on the Zone Diet. Your doctor will help you tweak your diet so you can have as much of the nutrients you and your unborn baby need. Your doctor will also determine whether it’s safe for you to take the supplements that this diet requires. The Zone Diet is a healthy diet that can help you lose unwanted weight and body fat. But its claim that it is an effective countermeasure against chronic inflammation is not supported adequately by science. You need to keep that in mind if you get on the Zone Diet. 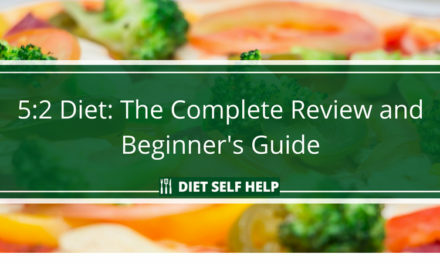 If you are still on the fence and seeking an alternative to the Zone Diet, we recommend trying the Mediterranean Diet, which is a time-tested and highly popular method of healthy eating. 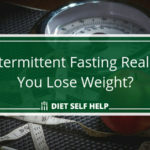 NextCan Intermittent Fasting Really Help You Lose Weight?